Between 4:30 and 5:00 PM today Israeli snipers shot another ISM activist in the head. Tom Hurndall from Manchester Britain is currently in critical condition in a helicopter on his way from Europa Hospital in Khan Younis to a hospital in Bir Sheva. He is 22 years old. 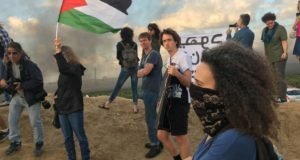 According to Laura, the activists were being shot at while protecting some children from Israeli gunfire. Tom was in plain view of the sniper towers and was wearing a bright orange fluorescent jacket with reflective stripes. The nine ISM activists and many children were in the process of leaving the area. Sniper fire from the tower was hitting the wall close beside the children, who were afraid to move. Tom was attempting to bring them to safety when he was shot. There was no shooting or resistance coming from the Palestinian side at all. According to Laura, the plan had been to put up a tent where a tank parks itself every night in front of a Mosque. The soldiers in the tank shoot down the street, terrorizing people who come to pray. The group had discovered earlier that the tank was already in place and had begun firing into the air. The Palestinian organizers felt the plan had become unworkeable, and the action was abandoned. Laura and two Palestinians decided to go assess the situation. She soon realized that the tank had moved from where it had been. It was now possible to set up the tent. She spoke to Tom D by phone and they decided to meet at the roadblock. The Israeli snipers in the eastern tower began shooting in Laura’s path. When they arrived at the roadblock, the rest of the group was already there. The snipers began firing again: this time at the wall of the building next to the activists. As a result, the group began the process of leaving. Tom saw a little boy in an open space, clearly visible to the tower. Tom went to get him out of the way. He looked back and saw two more girls whom he also went to retrieve. As he went to get them, he was shot in the back of the head. He fell to the ground in a pool of blood. The ambulance arrived quickly, after about two minutes. For years the Israeli army has killed Palestinian civilians with impunity. Now they are targeting unarmed international peace activists and human rights workers. 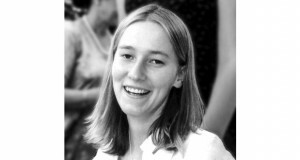 On March 16, Rachel Corrie was run over and killed by a bulldozer operator in Rafah while trying to prevent home demolitions. 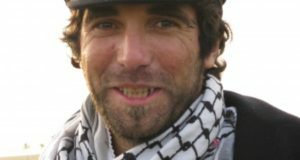 On April 5, in Jenin, Brian Avery was shot in the face by an APC in an unprovoked attack on a clearly unarmed group of internationals. Six months ago in Jenin, Caoimhe Butterly was shot in the leg and UN official Ian Hook was murdered. We ask the world community to stand up and demand that Israel honor international agreements protecting civilians, whether they are internationals or Palestinians, and hold Israel accountable for these crimes against humanity. And we demand an end to the illegal and brutal occupation that these murders defend.